Online Special! $50 OFF First Laser Treatment! Lasers have quickly become a widely used tool for hair removal. 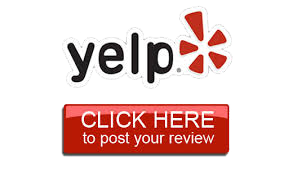 Offering quick and permanent results, laser technology is safe, effective, and relatively painless. Because our center uniquely combines laser and electrolysis, our clients benefit from the quickest and safest permanent hair removal possible. 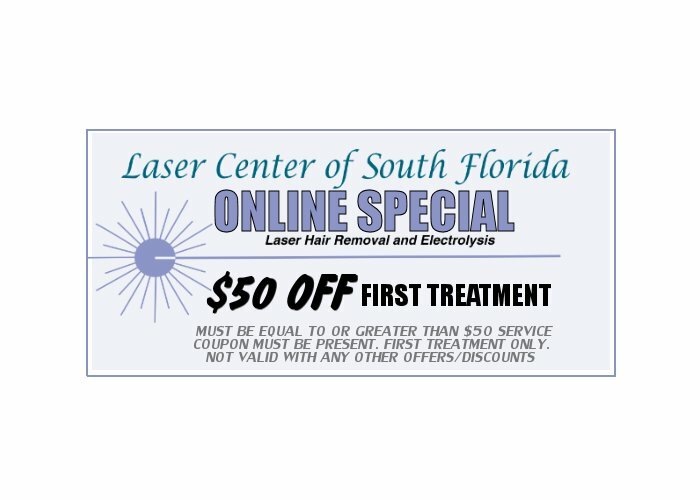 Laser Center of South Florida is a modern facility offering men and women the most advanced laser hair removal techniques. After extensive research into the safest and most effective lasers for laser hair removal, we selected the GentleLASE Plus laser. We continue to have exceptional long-term results with our laser hair removal clients. Lasers have been used for many years for a variety of medical cosmetic procedures including treatment of facial and leg veins, age spots and rejuvenation of skin. The Laser Center of South Florida uses the latest laser equipment to remove hair from all facial and body areas. Now, men and women can be hair-free with just a few treatments! It’s simple, it’s fast, and it’s safe. Our lasers have been cleared by the FDA for permanent hair reduction. Our clients always receive a safe and effective treatment. Electrolysis is a method of permanent hair removal, which was first introduced over 125 years ago. Through advancements and refinements in equipment and technique, electrolysis has become a safe and affordable option for individuals seeking a permanent solution to unwanted hair. Botox is a Minimally Invasive Cosmetic Procedure. BOTOX® Cosmetic (onabotulinumtoxinA) is a prescription medicine that is injected into muscles and used to temporarily improve the look of both moderate to severe crow’s feet lines and frown lines between the eyebrows in adults. The cosmetic form of botulinum toxin is a popular non-surgical injection that temporarily reduces or eliminates frown lines, forehead creases, crow’s feet, and thick bands in the neck.